Hofanger is located right on the banks of Lake Chiemsee, opposite Fraueninsel, at the northern exit of Gstadt, towards Gollenshausen. The name „Hofanger“ comes from „Hopfenanger“, because in earlier times hops were cultivated on this site. In the spring of 2008, a small natural park with various recreational, game and information facilities was created here. „Hofanger“, the pavillion shaped restaurant with terrace, invites you to enjoy culinary delights. Designed with a large glass front, it offers a unique panoramic view over the lake, the islands and the Chiemgau Alps. The playground toys and the watercourse, a special attraction where the small visitors can play, can be seen from the picnic table by the lake and from the restaurant. Just below Hofangers you can dive directly into the refreshing lake, play beach volleyball, sail, surf or just relax in lovely surroundings at the new beach area. 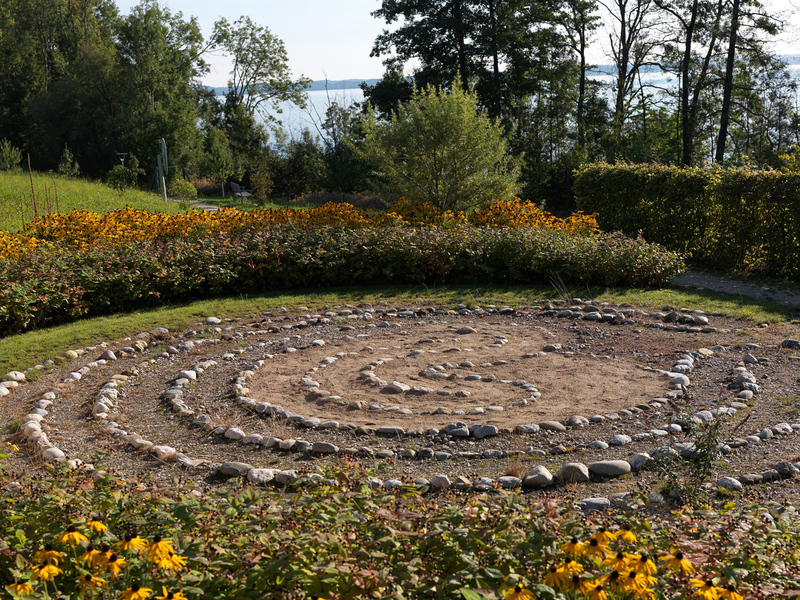 A small stone labyrinth shows you the way to your inner-self and the rose garden, a medicinal plant display, and herb beds, invite you to relax. Here you can observe the cosmic forces in the planetary beds and convent plants. Plants of Hildegard von Bingen, women’s plants and kitchen herbs can also be discovered. 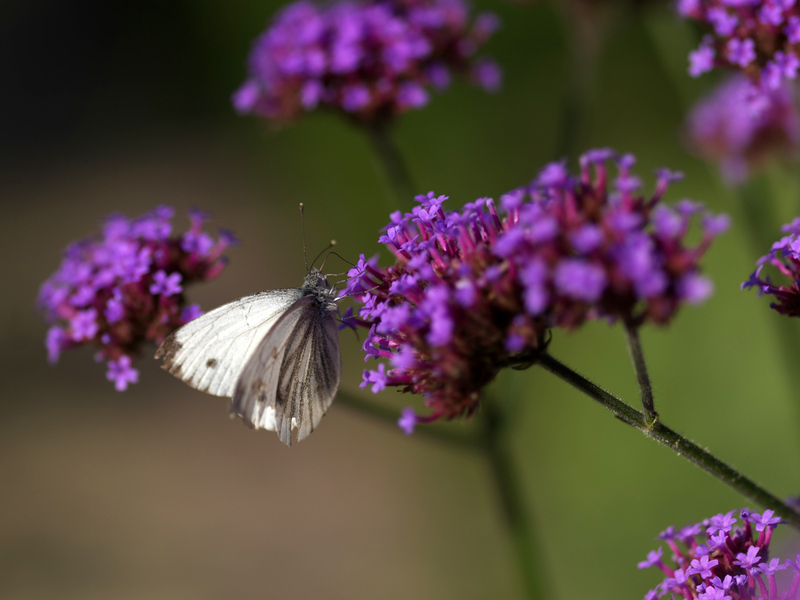 The scented plants, edible flowers and various sage and mugwort species and the butterfly flower bed allow you to observe the diversity of the insect world from spring to autumn. The surrounding area can be explored from the platform with a telescope, and the Chiemgau alpine peak names can be seen on the graphic mountain panorama. Everything you need to know about the Hofanger is described on information boards or through personally guided tours from May to October. Various old fruit varieties are planted on the whole site, which can be harvested in autumn, and an 8-meter-long oak table offers plenty of space for picnics together or for the processing of medicinal plants within the framework of the guided tours. The whole area offers various places for resting and watching the beautiful scenery of the lake and the Chiemgau Alps. Once a year, usually on the first weekend of August, the Hofanger turns into „Klein-Montmartre“. 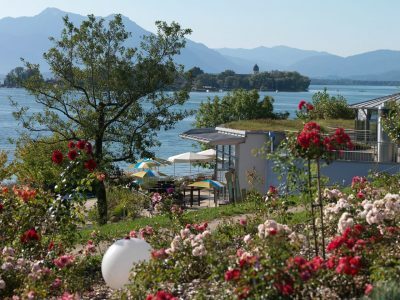 A bazaar and a „Market of Senses“ as well as various live music events lure guests from near and far to three extraordinary days with probably the most beautiful view of the Chiemsee. A classic in America, a crisp, healthy snack with individually compiled ingredients conquer the Chiemsee region. The bread roll with the hole in the middle of the picturesque seaport in Gstadt is not only in its classic variant with salmon, fresh cheese and salad, but with numerous other tasty ingredients such as mozzarella and tomatoes. For this purpose, special coffee specialties such as flavored coffees, smoothies and various muffins are served in the elegant ambience with a great feeling for design. 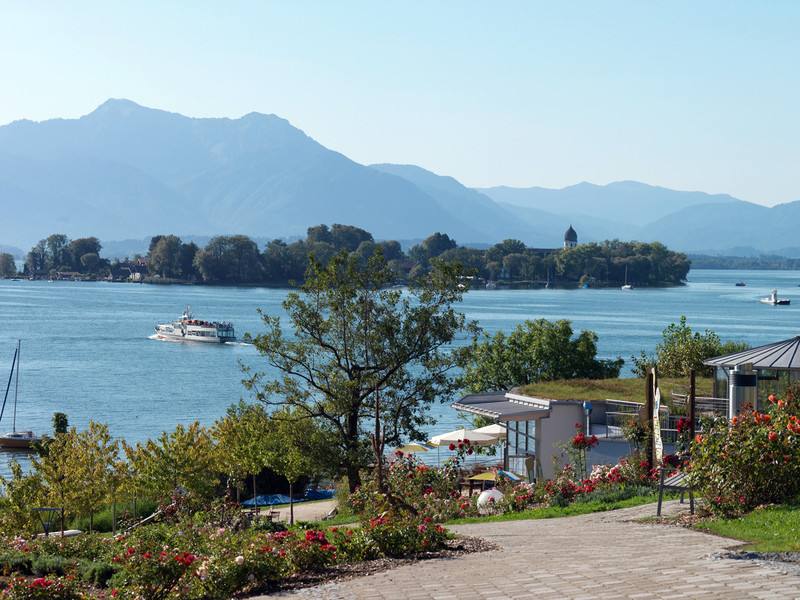 Bagel & coffee CHIEMSEE with a view of the Bavarian Sea is the ideal place to stop for a stroll at the seaport, to refuel during the bicycle tour. A small oasis to relax in the middle of everyday life. Open from Tue - Sat: 9am - 6pm; Sundays: 9am - 6pm; Closed on Mondays. accessible Public, barrier-free WC, stairs lift. At the exit from Gstadt in the direction of Gollenshausen, the smaller of the two districts, the Hofanger is located directly on the Chiemsee bank opposite the Fraueninsel. The name "Hofanger" comes from "Hopfenanger", since earlier hops were cultivated on this site. In the spring of 2008, a small natural park with various recreational, game and information facilities was created. The Kiosk is part of the restaurant Bagel & Coffee and is only open in summer. accessible Public toilet with disabled access. Public swimming area offering a long pier, playing areas for children, beach-volleyball, kiosk and restaurant. accessible Parking available, lift to Hofanger and changing room with access for disabled, entrance to the pier via a gravel path, easy access to the lake via the pier.